The event begins with "The Gathering The Bards: From Galway to Rockaway" at 2 p.m. with literary legends weaving the art of storytelling with original works and classics of Irish-American culture in verse and song. 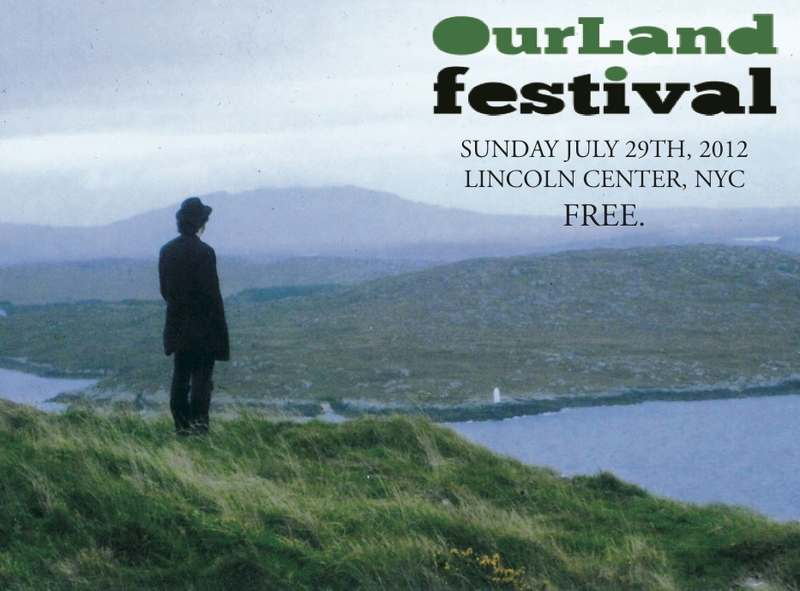 At 6 p.m. the focus shifts to Damrosch Park Bandshell for "Thousands Are Sailing," with a performance from the cast of Once, winner of eight 2012 Tony Awards including best musical, and a celebration of the role legendary musicologist Alan Lomax in preserving Ireland's musical heritage with Irish Americana performances led by Lomax archive director Don Fleming along with Cherish the Ladies, Lianne Smith and more. Joe Hurley and The Gents take the stage at 7 p.m. for a set that will include a performance of Hurley's CDLet the Great World Spin, created with and inspired by Colum McCann's National Book Award winning novel. Did I mention that all this is free? Thank you Consulate General of Ireland, The Gathering Ireland 2013 and Lincoln Center Out of Doors. But OurLand isn't done yet. The finale starts at 8 p.m. with Joe Hurley's All-Star Irish Rock Revue, a celebration of "The Great Irish Songbook," featuring the music of Thin Lizzy, U2, Van Morrison, The Undertones, Pogues, Elvis Costello. Joing Hurley will be co-host Edward Rogers, New York Dolls' Syl Sylvain, Willie Nile, Michael Cerveris, Ellen Foley, Tami Lynn (Dr. John, The Stones) R&R Hall of Famer Dennis Dunaway, Led Zeppelin's Shannon Conley and many more.